Dave makes a quick adjustment… to my belt! It needed a few more holes so I could make it small enough, and Dave was kind enough to oblige. After that quick job we spent the rest of the morning adjusting all 60 beamformers that were already installed last trip. 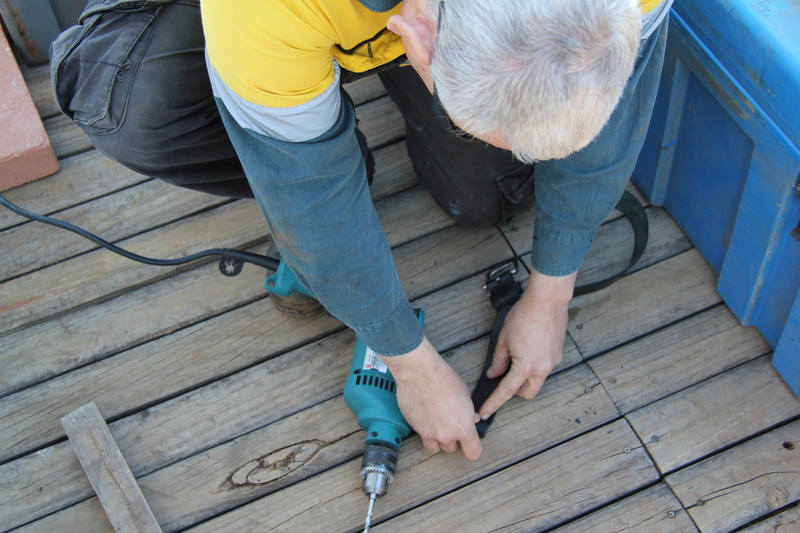 This involved unscrewing and then rescrewing almost 2,000 screws to get the lids off and on again. 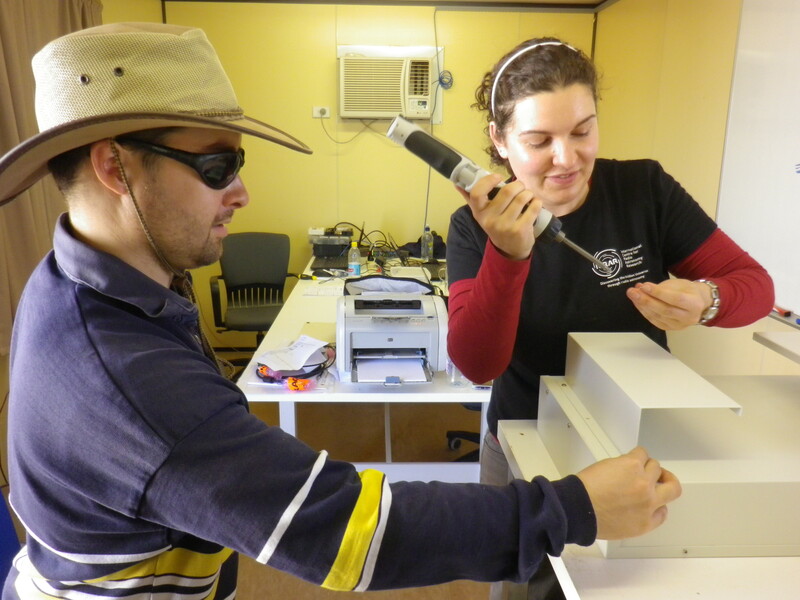 Sammy and Luke undoing all the screws on a beamformer to make an adjustment. 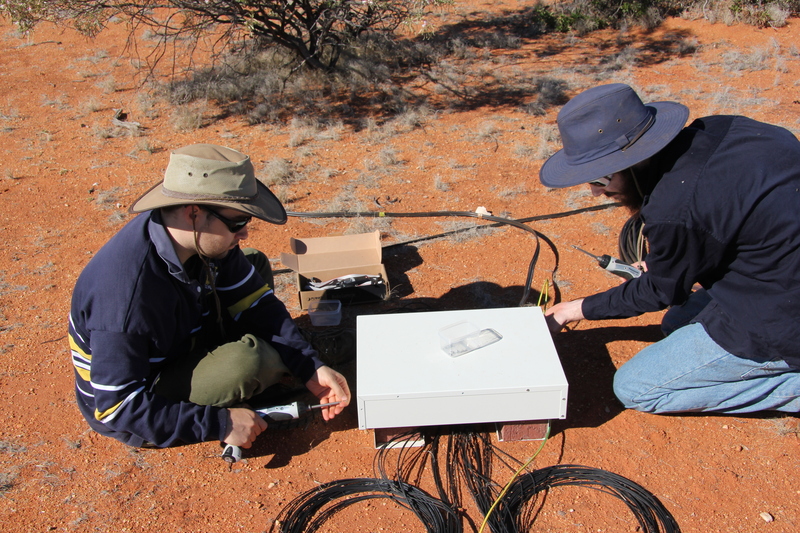 Luke and Sammy adjusting a beamformer. 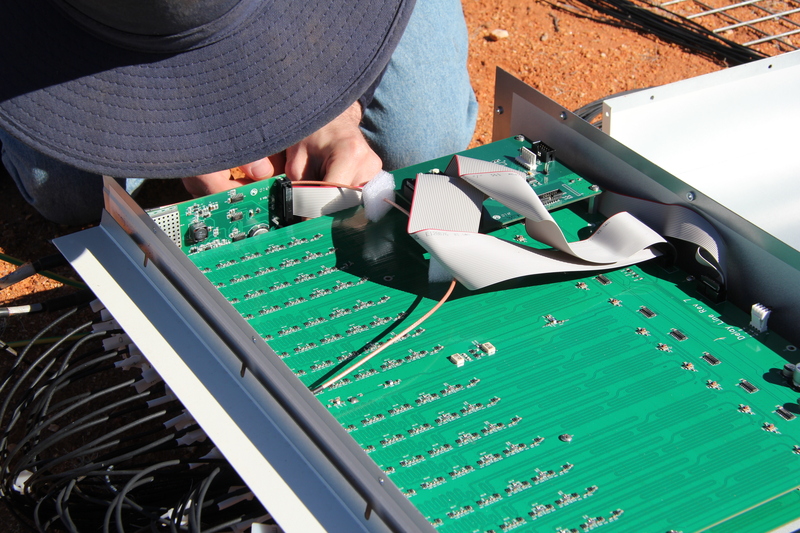 You can see the delay lines on the circuit board that add in the delays to the signals – that’s what points the telescope. 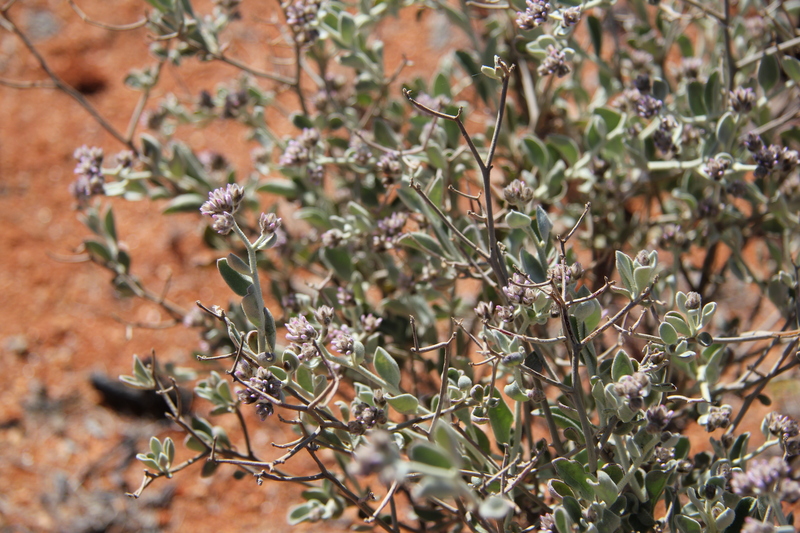 While running around the core I spotted some more wildflowers. Subtle purple wildflowers around the site. 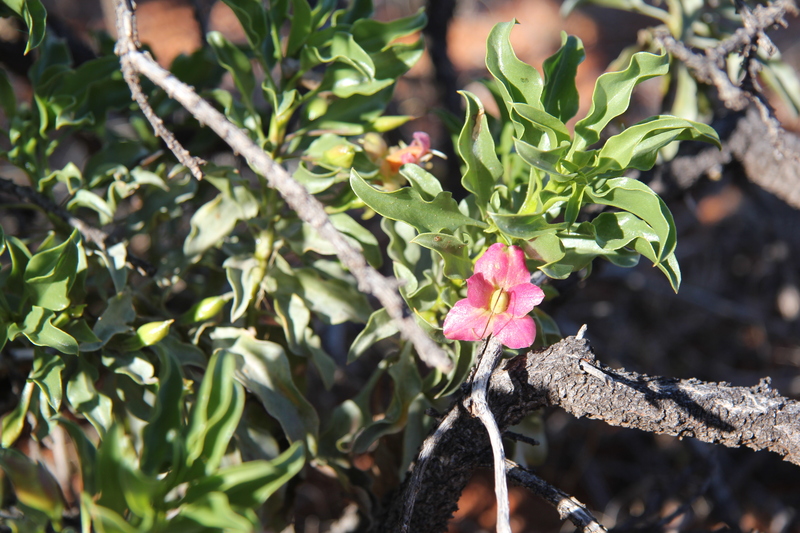 The bush with this flower looks very sad for most of the year, something you wouldn’t look twice at. Now it’s got these really unusual waxy flowers. 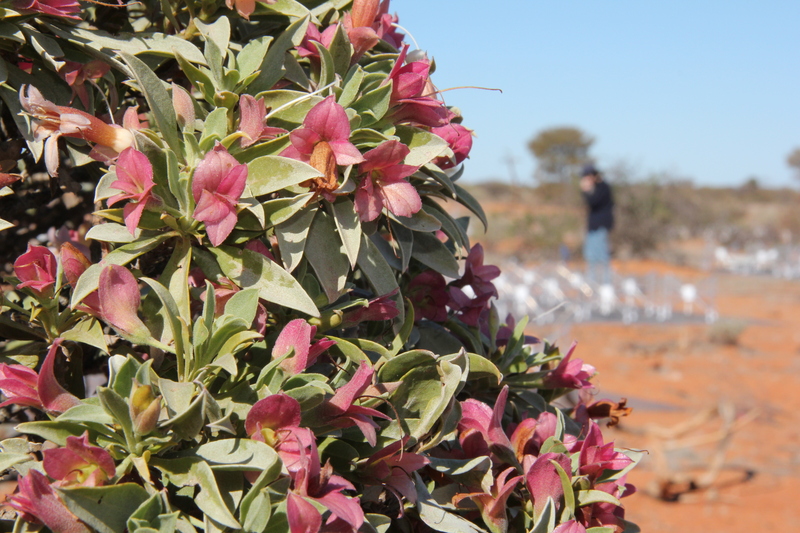 Luke adjusting a beamformer in the background of some more lovely wildflowers. Prabu working his magic again on the brains of a receiver. 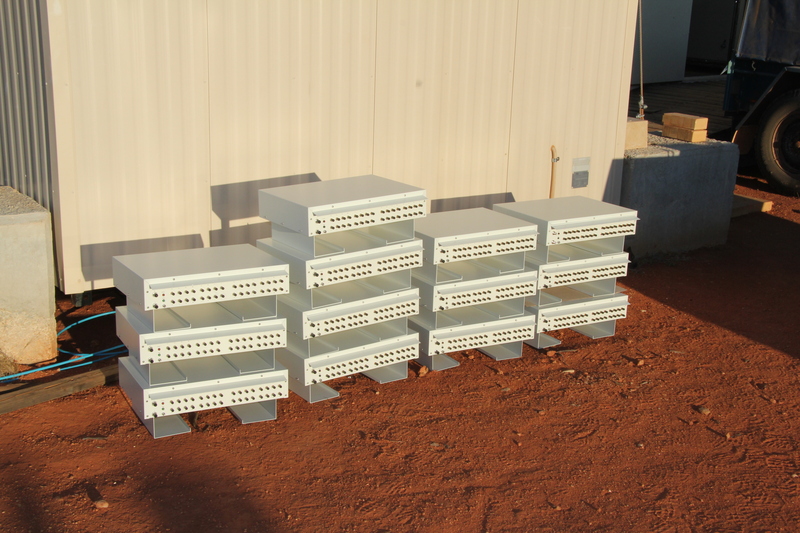 After lunch we got to building the other 68 beamformers that have now arrived on site. They come semi-constructed in boxes and need to have their legs and raincovers put on (another 600 screws…). Sammy and I building beamformers! Photo Tom Booler. After one or two we had our production line down pat and managed to build all 68 by this afternoon! Overflow beamformers stacked up in the sunset. Tomorrow it’s time to start installing them. 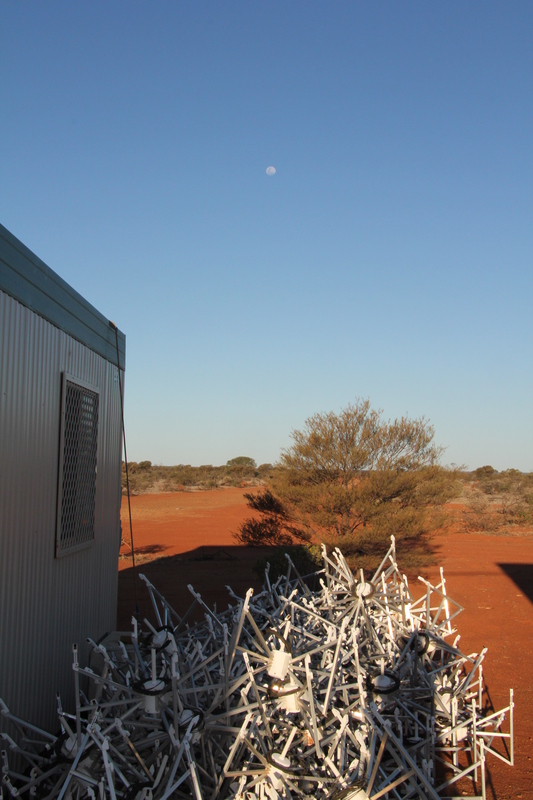 The almost-full Moon looks over the dipole graveyard. 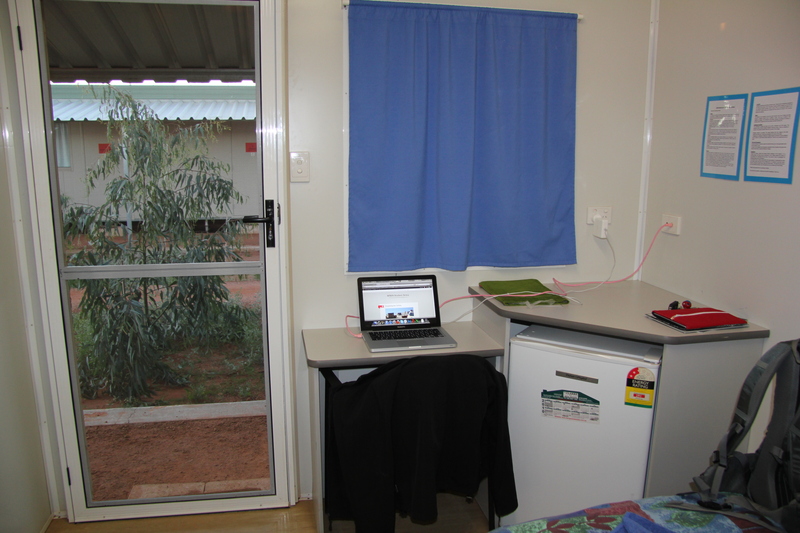 We also thought you might like a quick peek into what it’s like staying at Boolardy Station, where all the astronomers, engineers and technicians usually stay when working at the MRO. 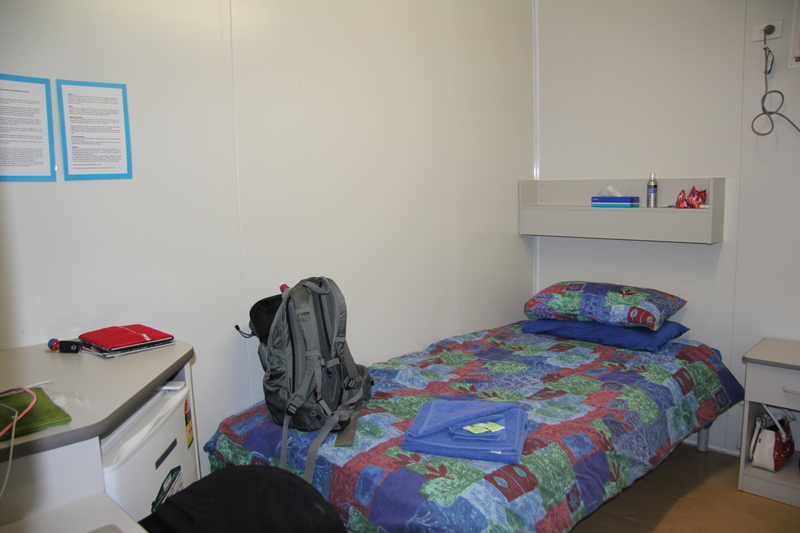 All the rooms are named after local stations and land marks, with a run down of the history within each room. 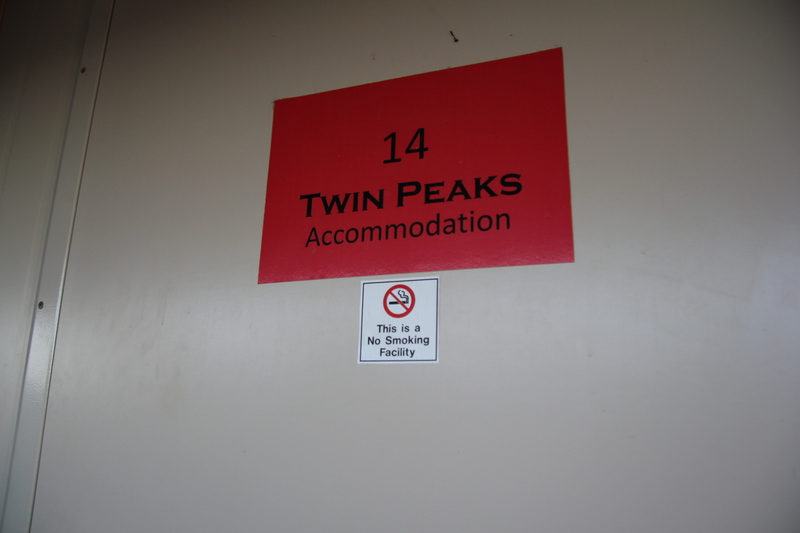 Mine is ‘Twin Peaks’ a close by station that shares a border with Wooleen. Looking in from the door you see the bed on the left, and a wardrobe on the right (out of view). Next to the door is a little desk and fridge. 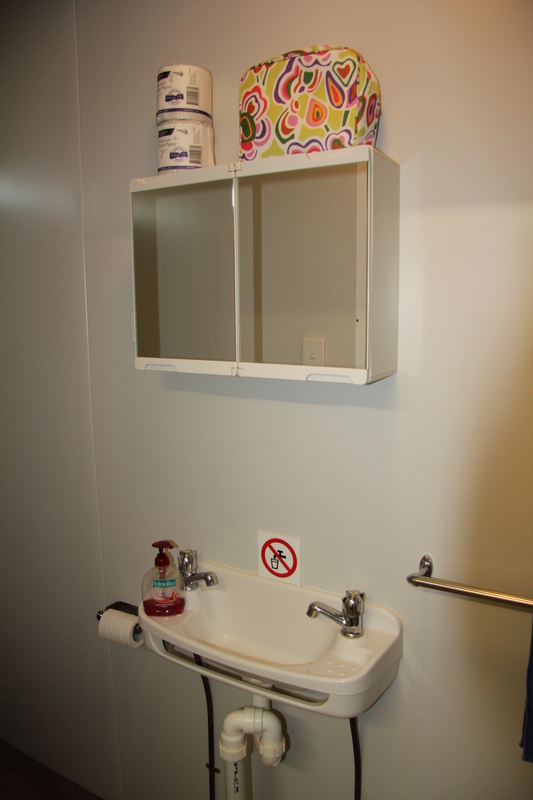 Finally, we have our own little bathroom with shower and toilet. It’s lovely to not have to join a queue! 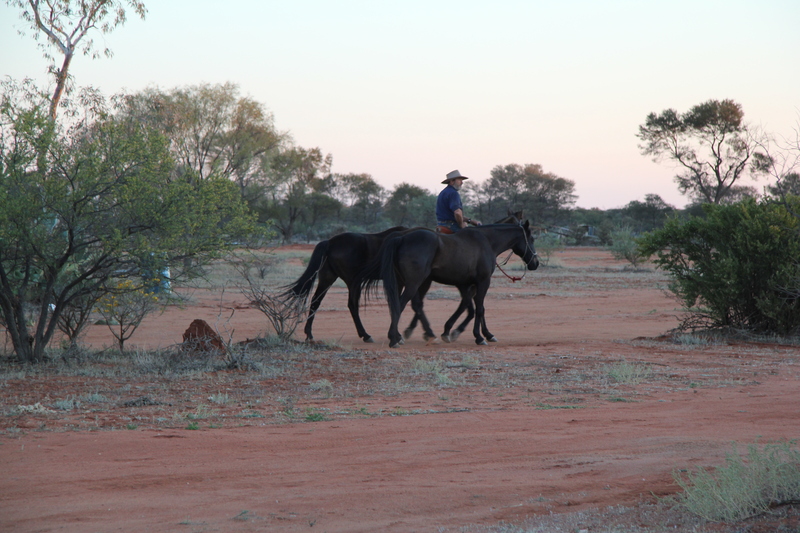 And I’ll leave you with some scenes of Boolardy at sunset. 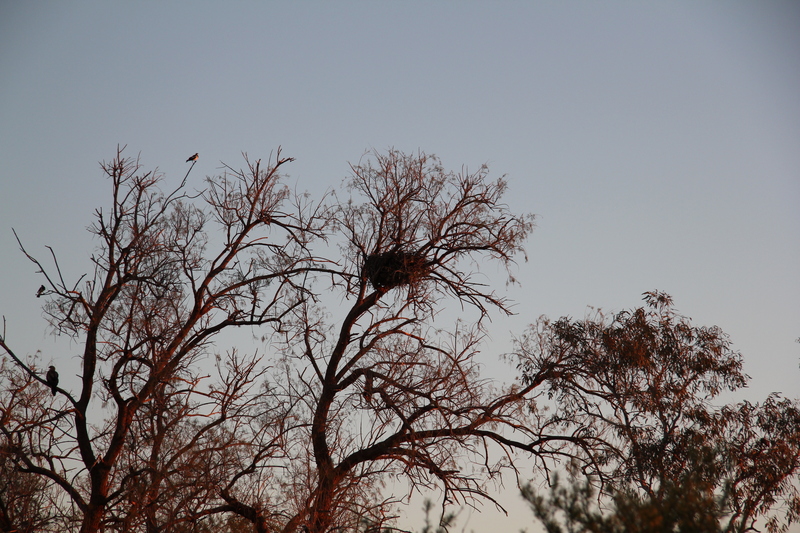 A magnificent eagles’ nest, with eagles come home for the night, at Boolardy. Photo Luke Horsley. Life on Boolardy Station. Photo Luke Horsley. Well done guys. This is very impressive. Good luck for the next experiment. Thanks Dominique, we’re hoping to finish installing all the beamformers in the next two days (we head home on Saturday). All images and content on this blog is copyright. I'd be happy to help you out if you want to use any text or images that I've produced, simply send me an email - kirsten.gottschalk@icrar.org - and we can chat about it.